To all our summer guests, who must face hours of battle with city traffic and the prospect of trundling wearily into the Catskills late evening without supper, try a mid-journey pit stop in Kingston. 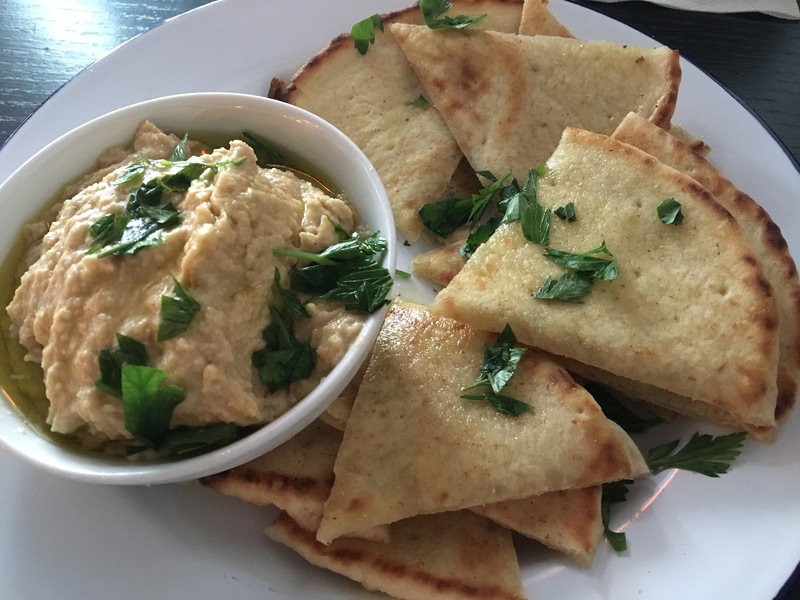 There’s a relatively wide variety of restaurants in Kingston, including a handful of Greek restaurants, one of which is the excellent Kovo Rotisserie on Front Street, in a light, airy and modern setting. This entry was posted in Food and tagged Greek Food, Greek Restaurants, Kingston Restaurants, Upstate Food on August 21, 2017 by JNUrbanski. 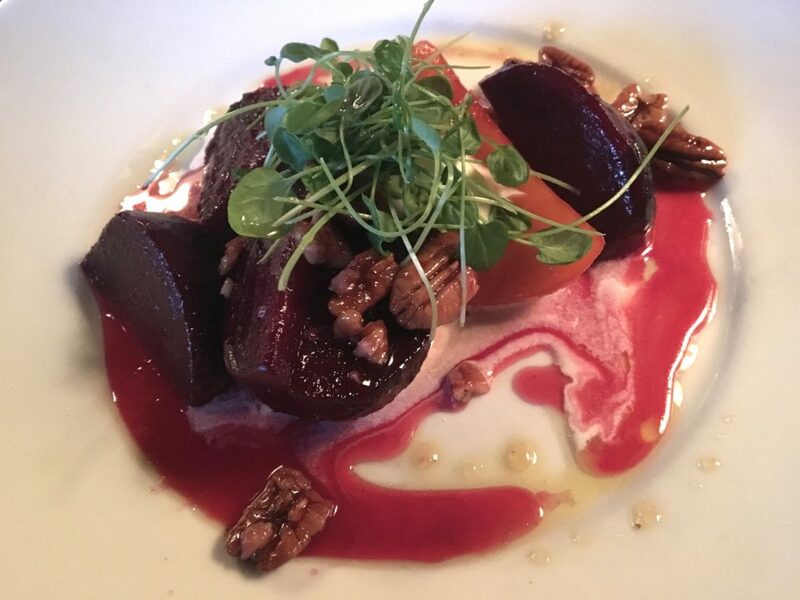 The warm honey-glazed beets at Peekamoose remind me of standing on the farm eating a beetroot, warm from the scorching August sun, straight out of the ground. In winter, when there’s a foot or two of snow on the doorstep, and you’ve braved piercing winds and roads covered in dry chalky snow on date night, beetroot warm from the oven, covered in honey and goat’s cheese creme is a mouthwatering treat. Rich, earthy and wholesome, these beets are almost like a dessert as the creme melts into the warm honey sauce, making a juice so luscious you’ll want to slurp it directly off the plate. Scrumptious. 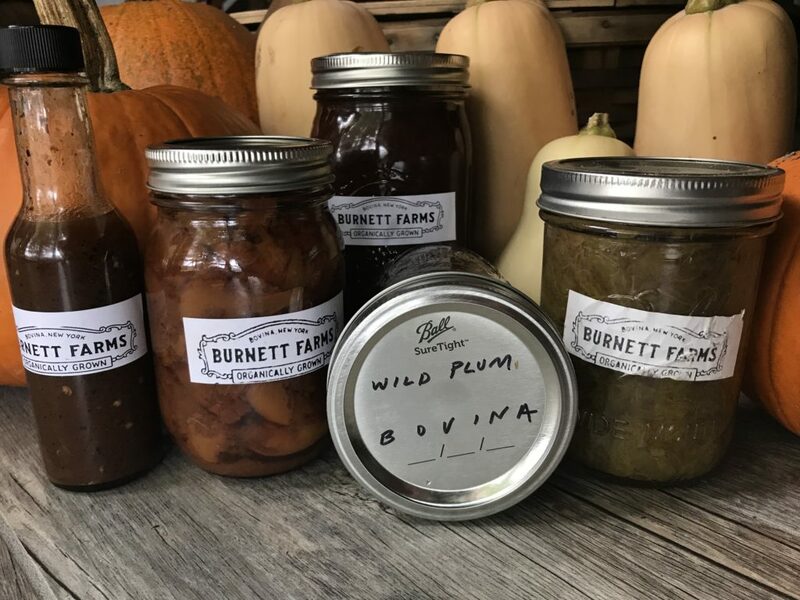 This entry was posted in Food and tagged Beetroot, Catskills Food, Catskills Retaurants, Country Living, Foodie, I love NY, Upstate Food on February 13, 2017 by JNUrbanski. All the things I love and consume regularly like caffeine, chocolate, alcohol and sugar all take a toll on the body; this is especially so if you’re obsessed with tea and have to drink it around the clock. I love a hot toddy or mulled port in the evening by the fire, but If you’re looking for a fragrant winter beverage that is healthful and tasty, try Golden Milk, which I discovered last week at an event at Spillian, where Liza Belle was simmering a pot of the milk on the stove while teaching a group how to make fire cider. This milk will provide a comforting winter warmer with some seriously beneficial ingredients, sweetened with maple syrup, which you can find at presently bustling sap houses all over the region. Mix together all the ingredients in a pan and gently bring to the boil while stirring continuously with a wooden spoon. Simmer gently on a low boil for about twenty minutes while stirring. By all accounts, turmeric appears to be one of those miracle foods like Manuka honey or raw cranberry. I know a family member devoted to The People’s Pharmacy who swears by turmeric for burns. In fact, years ago she looked up a remedy for burns online and was instructed to put a popular brand of mustard on a severe burn and cover the area with a bandage. Hours later all traces of the burn were gone and it wasn’t until years later she discovered it was the turmeric used to color the mustard that worked the magic. I have a friend who is drinking turmeric beverages every morning and reports that her memory seems to be improving. A quick search of WebMD reveals that the spice is “believed to have anti-inflammatory, antioxidant, and perhaps even anticancer properties” and “several studies suggest that it might ease symptoms of osteoarthritis and rheumatoid arthritis, like pain and inflammation”. 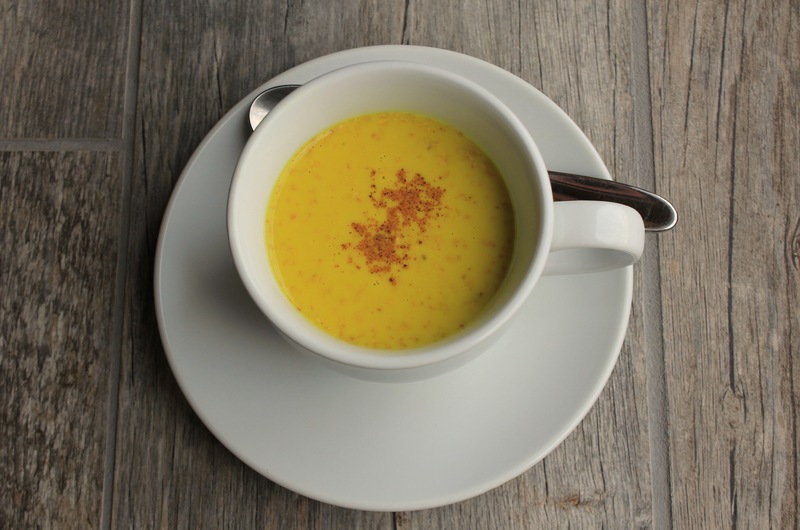 An ancient Indian recipe calls for turmeric and honey in warm milk for cold symptoms and that’s worked for me in the past. 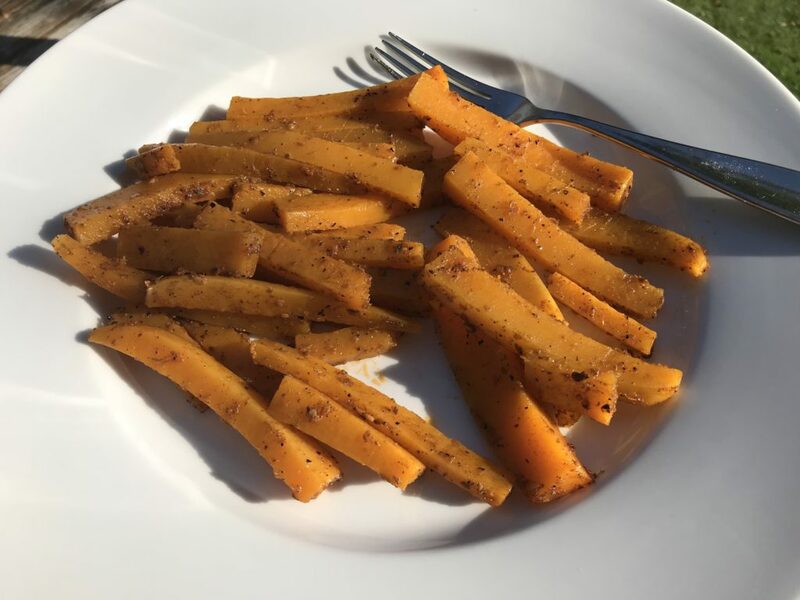 Powdered herbs and spices will keep for a while, but if you want to keep the actual roots of ginger and turmeric but don’t use them that often, you can store them in the freezer and grate them directly into the recipe while you’re preparing a dish. The grated root will thaw immediately once in a warm soup, sauce or drink but won’t be overcooked. This entry was posted in Drink and tagged Catskill Mountains, Catskills, Food Blogger, Food in the Catskills, Foodie, Golden Milk, Healthy Drinking, Turmeric, Upstate Food, Upstate Living on February 11, 2017 by JNUrbanski. My last radio show of the year on WIOX focused on favorite winter recipes from colleagues, neighbors and friends working in the food industry. Jeanette Bronée is a nutritionist and health coach, based part-time in the Central Catskills, who has appeared on my show a number of times in the past few years inspiring listeners to take charge of their health. She’s author of Eat To Feel Full. A small book with a big message, it’s “a beginner’s guide to self-nourishment, offering a combination of food knowledge, insights into the habits that block our efforts to transform, and practical techniques for developing a mindful, healthy relationship with food”. 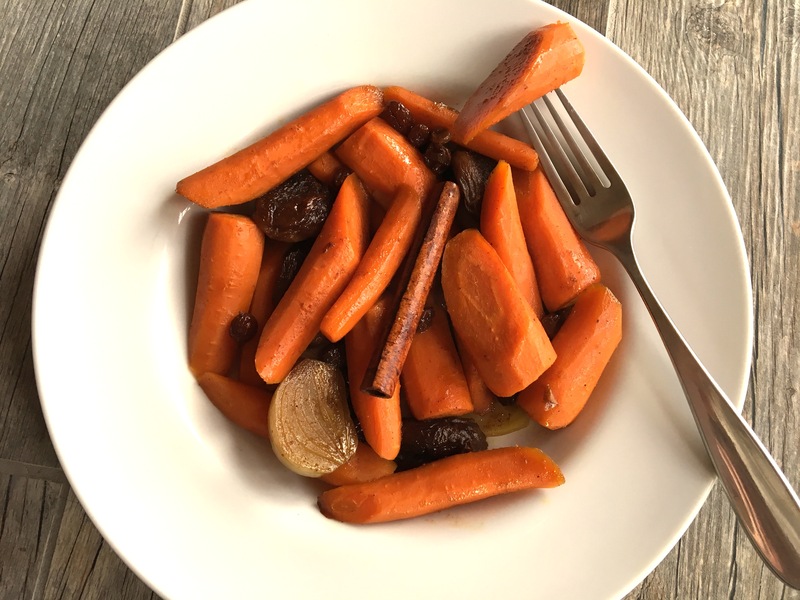 She picked a recipe that’s sweet and spicy, more like a dessert than a side dish with roasted whole carrots and sweet prunes. 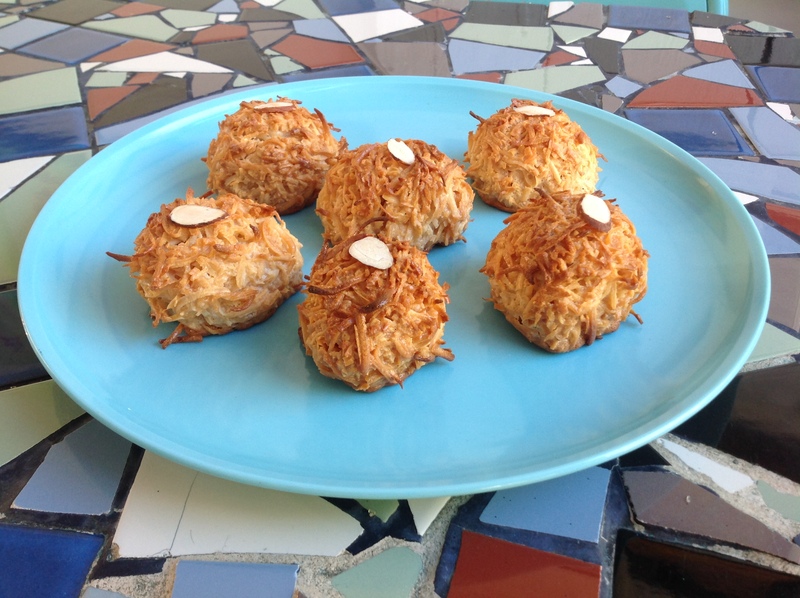 We used unsulphured apricots instead of prunes because you can really substitute any fruit that you wish and added a half cup of wine to the recipe. We served it with a small side of braised, local venison. As Jeanette said on a previous radio show, she eats meat “like a condiment” and, excepting the occasional post-hike burger, we’ve been taking her advice ever since. This roasted vegetable dish is luscious: sweet and filling, perfect with seasonal game. This entry was posted in Food and tagged Catskill Mountains, Catskills, Catskills Food, I love NY, Upstate Food, Upstate Life, Upstate Living on December 23, 2016 by JNUrbanski. 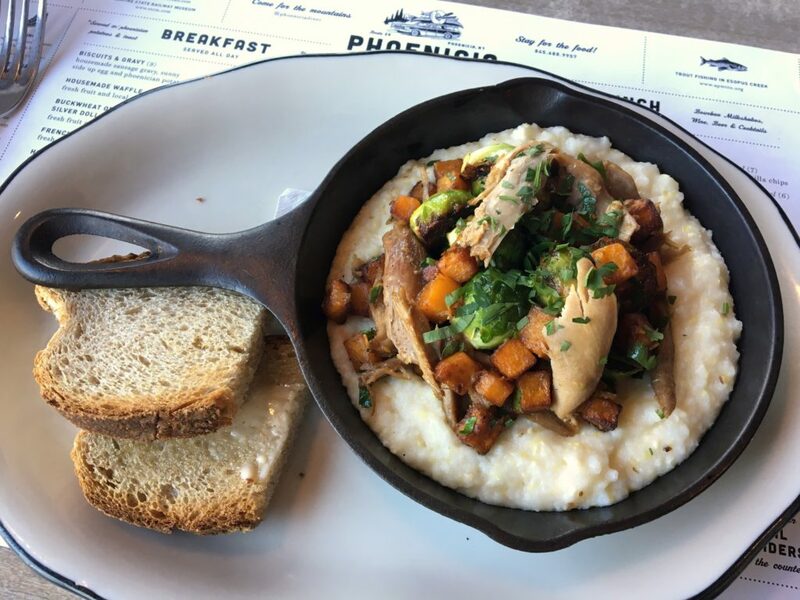 Chris Bradley has been Phoenicia Diner‘s executive chef since May of this year. He picked his favorite winter dish, which is currently being considered for the new menu that comes out next week and it’s delicious. The duck was tender and juicy, the vegetables perfectly roasted and not salty. A gorgeous winter recipe that’s rib sticking, but won’t sit heavily in your stomach. Plus, it’s no longer a mystery as to how their grits are so utterly mouthwatering. Here’s the recipe for it. 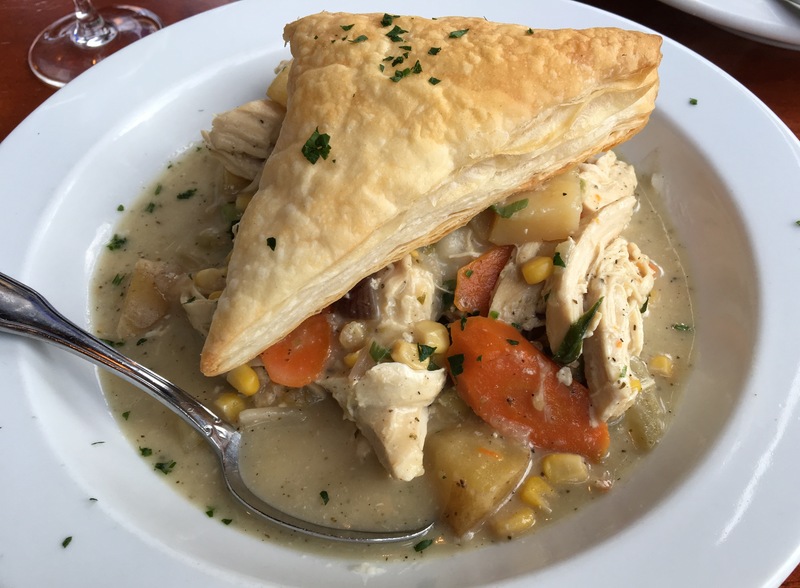 This entry was posted in Food and tagged Catskill Mountains, Catskills, Food Blogger, Foodie, Phoenicia Diner, Upstate Food, Upstate Life, Upstate Living, Upstate New York, Upstate NY on December 1, 2016 by JNUrbanski. 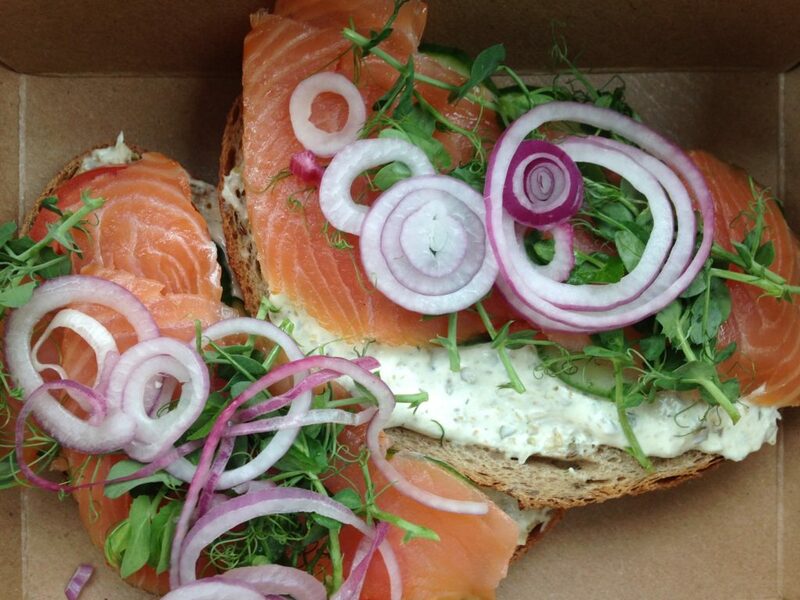 Bread Alone’s open-faced smoked salmon sandwich is a luscious, perfect combination of dill sauce, raw red onions and smoked salmon. Delicious. This entry was posted in Food and tagged Catskill Mountains, Catskills, Catskills Food, Catskills Sandwich, Foodies, Upstate Food, Upstate Life, Upstate Living, Upstate New York, Upstate NY on August 29, 2016 by JNUrbanski.